This Thursday, august 23rd at 6:30 pm is Back to School night in the gym. This is for parents only. We ask that at least one parent attend. We will have two different classroom sessions to allow those of you with multiple children to meet all of your teachers. Also, Mari McCord, religious education director at St. Vincent Parish, will be in Holy Family Hall from 5:30pm to 9:00pm on Back to School Night to help families register for First Communion, Confirmation, and RCIA (Rite of Christian Initiation of Adults). Typically, Catholic students in 2nd grade will register for First Communion, but older students who have not had the Sacrament may register as well. Nicholas Whitney, who is in 8th grade, is hosting a lemonade sale at the pavilion from 12:30-1:30 pm this Friday, August 24 in memory of his cousin Tomas. Six years ago, Nicholas began hosting the lemonade stand, like Tomas did when he was battling cancer, to support Operation Christmas Child. Operation Christmas Child helps children in struggling areas of the world by providing them with a Christmas gift. Lemonade, donuts, and cookies will be available for $1 each. Please come support this worthy cause! Girls in grades K-4 may wear their jumper with the peter pan collar and vest at mass and on full dress days. They can also choose to wear shorts, skorts, or pants with the red or white polo and vest for mass and full dress days. Girls in grade 5 may wear their plaid skirt with the red or white polo and their vest at mass and on full dress days. They can also wear shorts, skorts, or pants with the red or white polo with the vest for mass and full dress days. Girls in grades 6-8 may wear their plaid skirt with the white or blue oxford and their vest at mass and on full dress days. They can also wear shorts, skorts, or pants with the white or blue oxford with the vest for mass and formal dress days. Boys in grades K-5 may wear shorts or pants with the red or white polo shirt with the vest at mass and on full dress days. Boys in grades 6-8 may wear shorts or pants with the white or blue oxford and their vest at mass and on full dress days. Shorts may be worn all four quarters for boys and girls. Please contact the school office with any questions. Saint Vincent School calendar for the 2018-2019 school year is posted here. Please be sure to check the monthly calendars for events. Events may be subject to change. Join us in raising money for our school simply by using gift cards where you’re already shopping. It’s easy, rewarding, and fits perfectly into your busy life. Please contact the school office at office@stvincents-school.org or 801-277-6702 with any questions. Pick up your child from the Spring Lane lot at 3:50 PM. Any children not picked up from the Spring Lane lot at 3:50 PM will be escorted to Extended Day. Children must have homework in order to attend Homework Lab. The students may read during Homework Lab. Any students not having homework to do or a book to read will be escorted to Extended Day. Students will not be allowed to change for sporting events during Homework Lab. Any clothing changes will have to take place at Extended Day or with a parent after 3:50 PM. Students must go straight to Homework Lab after they are dismissed from their classrooms and may not leave before 3:50 PM unless a parent comes to get them. Why Did We Change Lunch Programs? At the School Board meeting last week, this question came up: Why did we change lunch programs? We changed lunch programs because Granite School District no longer is working with private schools. For five years, we enjoyed the great convenience of not having to order lunch for our children ahead of time and getting discounted lunches. Because of these advantages with Granite School District’s lunch program, the new program is a significant adjustment for many of us. Our current lunch provider, Elevation Catering, came highly recommended from two other Catholic Schools. The school found Elevation to be the best company in terms of value for the price and parent convenience. Please let me know if you have any questions about our lunch program. Please let the office know by this Friday, August 24 if you have a team that would like to rent the lower field for practices or games. After 12:30pm on August 24, the field times will be made available to teams from outside the school/parish community. Hello, Space Cadets! (We mean that in a GOOD way!) 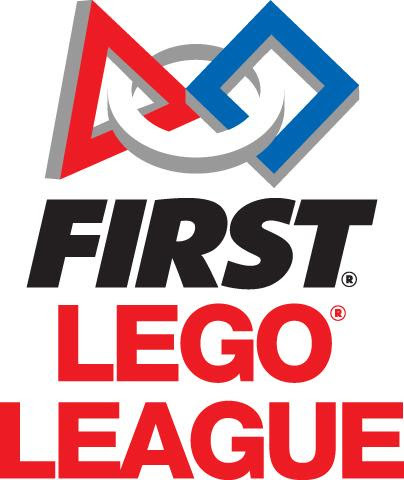 The First Lego League is back in force, and this year’s theme is “Into Orbit!” If you are a budding engineer, computer programmer, science fair presenter, or just a great team member, FLL needs you.